Location, Location, Location! 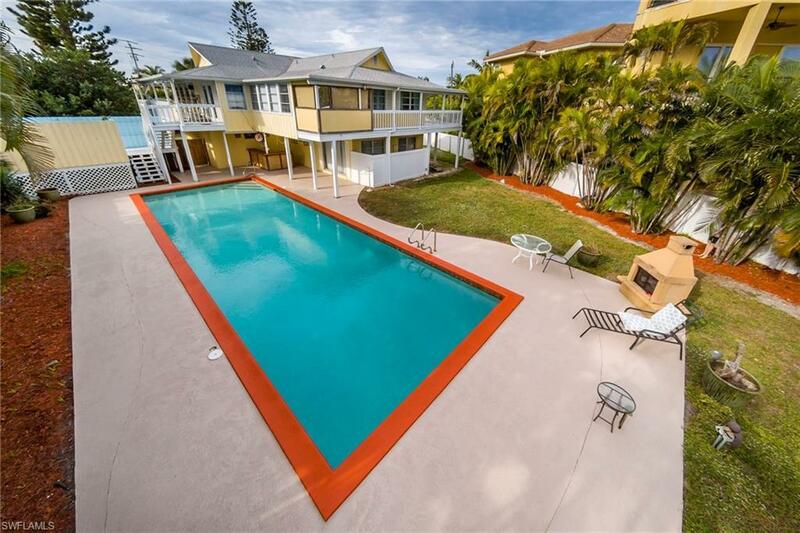 Right on Estero Blvd on the desired S. End of Ft Myers Beach, this canal front 3 bedroom pool home is only steps from the white sand Gulf beach. 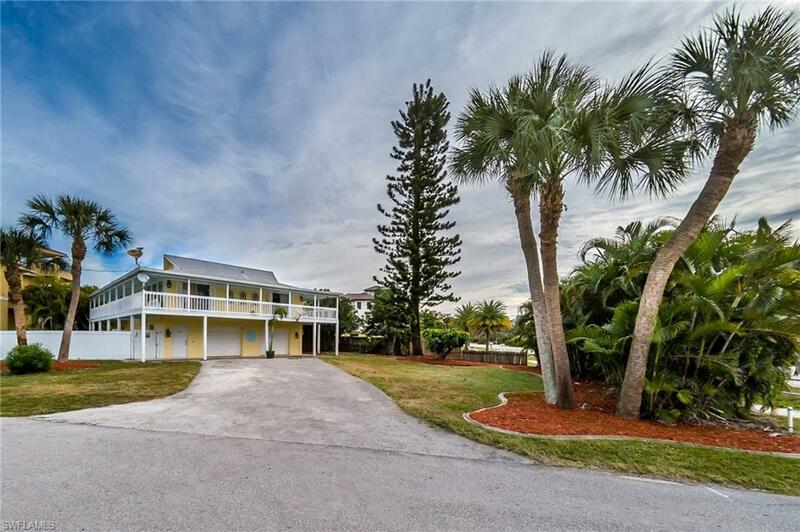 This 2 story stilt home could be perfect for year round living or an excellent investment. The main living area is on the second level and features 2 bedrooms, 1.5 baths, kitchen, living and dining rooms. 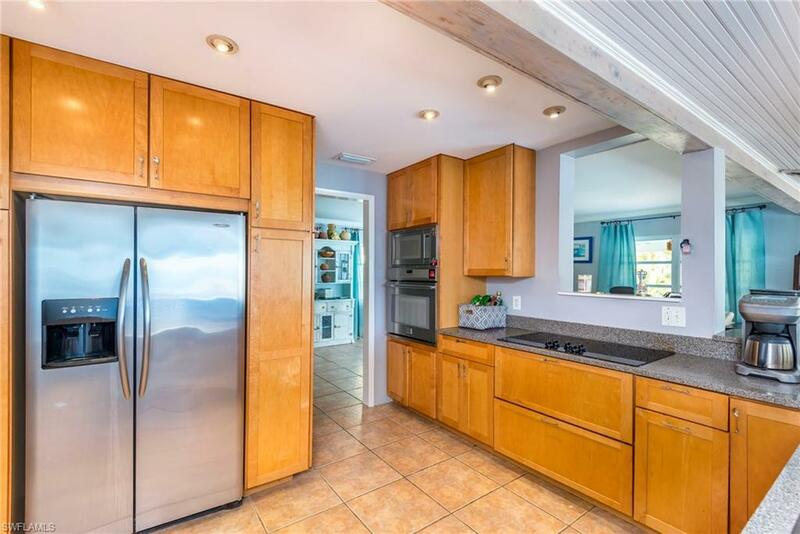 The large kitchen has wood cabinetry, granite counters, stainless appliances, and tiered breakfast bar. The master bedroom is ample sized with a walk in closet and private bath with a soaking tub. 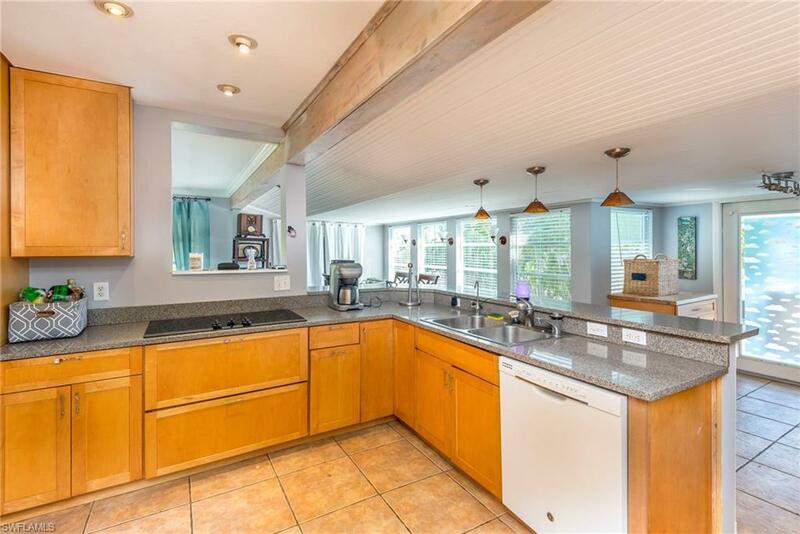 In addition, there is also tile flooring throughout, fresh paint and a bright open concept. On the lower level, your guests can enjoy the efficiency apartment with a large bedroom, private tiled bath with shower and soaking tub and views of the pool and canal. Outside, this home sits on an over sized lot with mature tropical landscaping, has wrap around porches and also a 2 1/2 car garage. The back yard is perfect for gatherings with friends and family. With a 50 FT pool, bar and nearly 50 ft on the canal, you can enjoy swimming, fishing, boating or just watching the manatees and dolphins as they gather. Listing courtesy of Advantage Florida Real Estate.